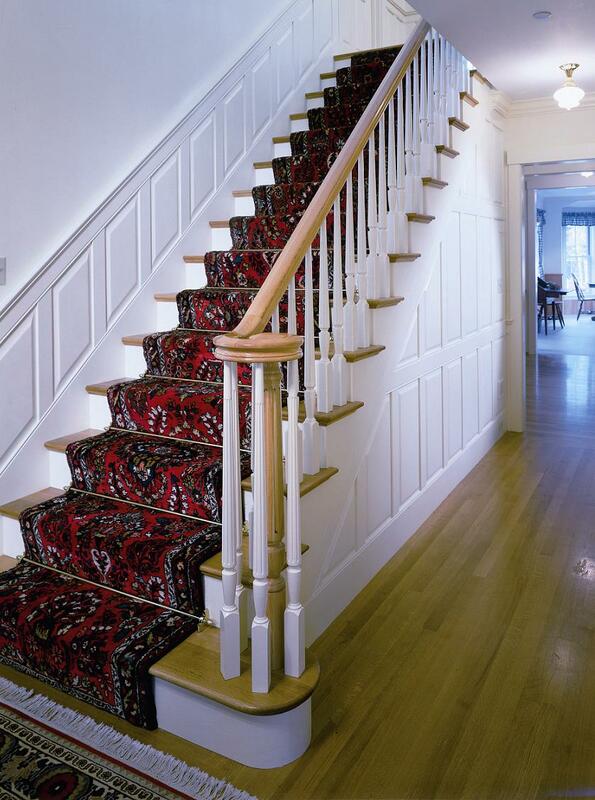 New England Classic's Stair PanelSets© allow you to easily add paneling to a stairway. The systems are adjustable to fit almost every stairway and Stair PanelSets are available in two styles: Classic Traditional raised panels and Classic American flat/recessed panels. They are adjustable to fit 80% of common residential stairs, with angles from 35.5° to 38.5° and from 39.5° to 42.5° in Classic Traditional and Classic American styles. Stairways outside the dimensions that use our PanelSets can be accommodated, as well. Stair Design Request Form is recommended for stairway projects other than Beadboard. Information about New England Classic wainscoting or stairs.